Limpopo foot, mouth outbreak contained: Zokwana - SABC News - Breaking news, special reports, world, business, sport coverage of all South African current events. Africa's news leader. he outbreak in Limpopo halted the export of products from cloven hoof animals. 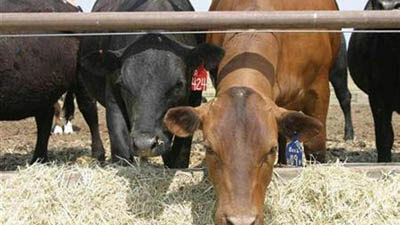 Government says a task team has been established to reassure investors and trading partners in the red meat industry over the outbreak of Foot and Mouth Disease. The outbreak in Limpopo halted the export of products from cloven hoof animals such as cattle, pig and goats. Namibia, Botswana and the Kingdom of e-Swatini, formerly Swaziland, have suspended meat imports. Vhembe District in Limpopo has been put under quarantine to curb the spread of food and mouth disease. But this comes as Zimbabwe is also in the process of implementing a ban on South Africa’s meat import. The area was officially declared a foot and mouth zone over a week ago. Minister of Agriculture, Senzeni Zokwana, told the media in Pretoria that the outbreak has been contained. He says the affected area is closely guarded. Zokwana says a task team will be working closely with neighbouring countries to ensure the outbreak doesn’t spread across the borders. He says the disease is not transmittable to human beings and there’s no need to panic. Red meat producers believe the outbreak may lead to a slight price fall on the beef, mutton and pork products if no solution is identified soon. Gerhard Schutte, CEO of Red Meat Producers Organisation says import sales will be affected. Chairperson of the National Association of Meat Producers, Pieter Vervoort says they support all efforts done to bring the situation back to normal. The minister and the task team have assured the nation and neighbouring trade partners that the area where the outbreak was detected is closely monitored. A team of experts has been deployed to the Vhembe district. This is to ensure that the spread of the disease is contained and that the infection rate is curbed through ongoing vaccination on life stock. This entry was posted on 14 Jan 2019,07:05PM at 7:05 PM and is filed under Sci-tech, Homepage Latest Stories Slider. You can follow any responses to this entry through the RSS 2.0 feed. Both comments and pings are currently closed.